A curtain wall system is an outer covering of a building in which the outer walls are non-structural, but merely keep the weather out and the occupants in. 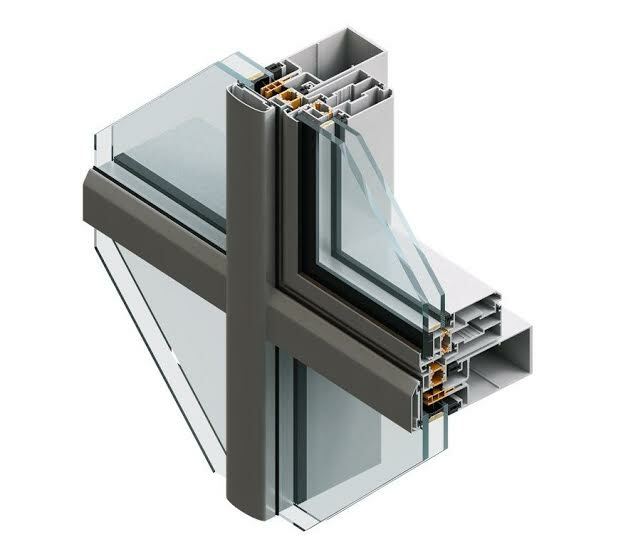 As the curtain wall is non-structural it can be made of a lightweight material reducing construction costs. When Glass is used as the curtain wall, a great advantage is that natural light can penetrate deeper within the building. The curtain wall facade does not carry any dead load weight from the building other than its own dead load weight. The wall transfers horizontal wind loads that are incident upon it to the main building structure through connections at floors or columns of the building. A curtain wall is designed to resist air and water infiltration, sway induced by wind and seismic forces acting on the building, and its own dead load weight forces.